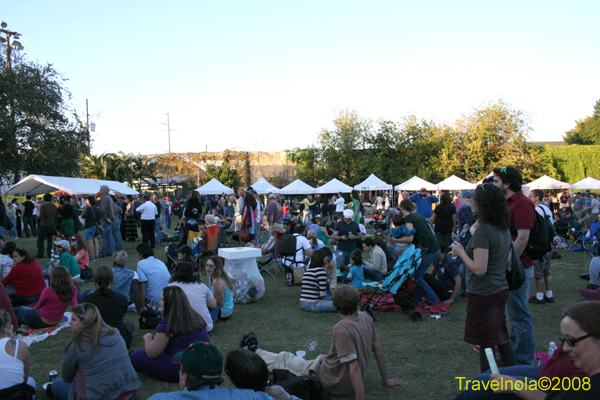 The Bywater Neighborhood Association in association with The Bywater Art Market presented The 2008 Mirliton Festival. Saturday November 8, 2008 11:30a.m.-7:00p.m. at Markey Park on the corner of Piety and Royal Streets in Bywater. Musical Guests included: Why are we building such a big ship?, Happy Talk Band, Morning 40 Federation, Andy J Forest Band, The W.B. 's Prey Drive feat. Ray Bong, 101 runners, Little Freddie King. A non-refundable service fee will be charged at the time of booking.